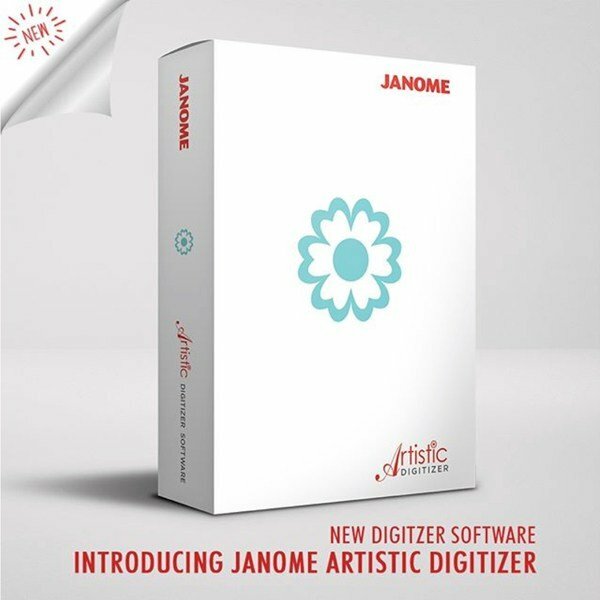 Be as artistic as you want to be with Janome's Artistic Digitizer Software. Design and create anything you can think of using this comprehensive software. Create and embellish any embroidery, sewing, and crafting project easily with the Artistic Digitizer Software. Get professional quality results quickly and easily, without having to be an experienced sewist. Everything you need to get started on your sewing dreams can be achieved with this software. You can create original designs, add personal touches, choose from multiple digitizing options, advanced editing features, crystal work, quilting motifs, and more. With Janome's Artistic Digitizer Software, you have the freedom to take your creative expression in any direction you can imagine. Operating System: Windows 7, 8 or 10 with the latest Service Packs. MacOS High Sierra Version 10.12.2 or later. Hard Disk: 1.5 GB of free uncompressed space.